A full-time art student in the ’60s, Nigel studied fine art, art history and graphic design at Eastbourne College of Art and Design. He was fortunate to study under Robert Tavener and Bob Miller. Since then he has gained confidence in his art, working with equal ease in acrylic, watercolour, oils and pastel. “I had some pretty good tutors who taught us how everything evolves from nature. We used to work with 3B pencils and sketch pads creating grids which we used as the basis of our paintings. “I’m looking for composition, I’m looking for something that is appealing, interesting and exciting to paint. My inspiration comes from many sources.” After leaving college, Nigel spent 42 years working in newspapers. He had wanted to open up an art gallery on leaving college, but his parents told him to get a proper job. Then in 2008, the opportunity came his way to follow his dream right here in Eastbourne. Time and much experimentation has led him to a world of new ideas, with a fresh approach to the use of colour and to seek creativity that could be treasured. His works are collected all over the world and more recently has found popularity in many high class London office receptions. The gallery has attracted attention from the BBC, ITV, national and regional magazines and recently was used as a film set for the soon to be released film “Untouchable” by Lynchpin Films, directed by Lana Maciver. 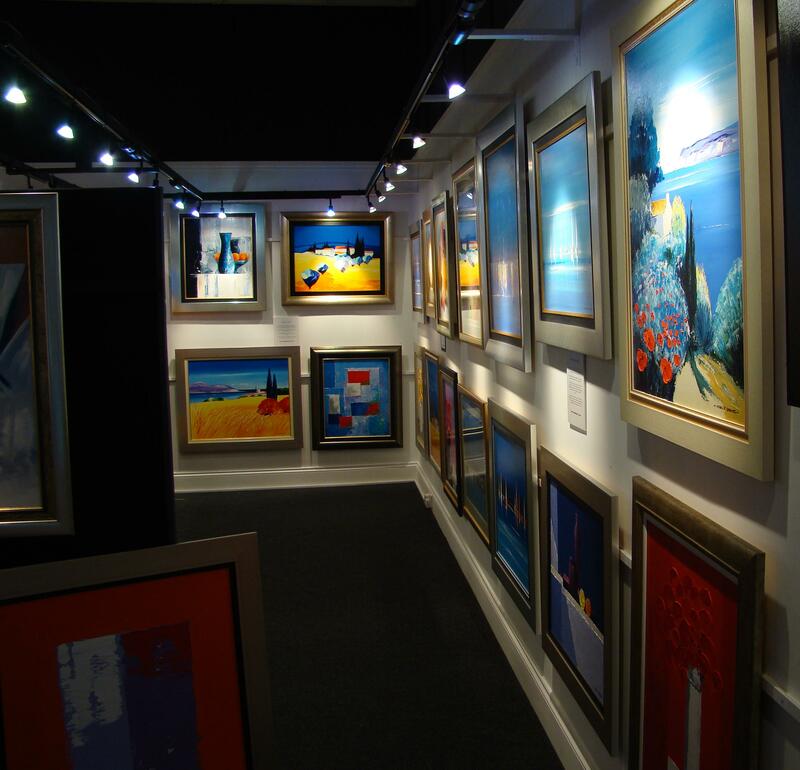 Despite the recession, the art gallery still attracts a strong following. “Business is good. I don’t have staff – it keeps overheads down and everyone is looking for something different so I have to maintain a discipline of producing a wide rage of subjects".